On June 30, International Asteroid Day will have everyone looking toward the skies. The holiday was founded after the 2014 release of the film 51 Degrees North, which explores what would happen if an asteroid were to strike London. The film’s creative team (many of whom are scientists) wanted to raise more awareness about the threat of asteroids to earth, and how we can help protect ourselves. To make that happen, they formed a foundation, and in 2015, they celebrated the world’s first International Asteroid Day. There are over one million asteroids in space that could potentially strike the earth, but modern scientists have only discovered about one percent of them. To combat this, Asteroid Day’s founders, as well as a host of accomplished scientists, created the 100X Asteroid Declaration. The declaration aims for scientists to work to increase the rate of asteroid discovery to 100,000 per year within a decade. International Asteroid Day focuses on spreading the word of the declaration and helping fellow Earthlings prepare for a potential asteroid impact. If there isn’t already an Asteroid Day event taking place in your area, consider organizing one of your own. The holiday is often celebrated with activities like lectures, discussions, and concerts. Hosting your own could be a great benefit to your community. It’s also a fantastic way to do your part to help raise awareness, and to meet like-minded members of your community who share your interest in asteroids. Check out the film that started it all, but be prepared to experience a rush of emotions. The movie is fictional, but it’s an exploration of a potential real-world scenario, and it gives you a lot to think about. It’s a great motivator to learn more about asteroids and how to stay safe in the event of an impact. The holiday’s creators and organizers are in need of volunteers to help them make worldwide Asteroid Day events run smoothly. More than 700 events are expected to take place this year, and volunteers can help to set up events, create content, design graphics, and help spread the word. Most people are understandably so focused on what’s happening here on earth that they have no idea that asteroids pose a threat to our safety. International Asteroid Day is a great way to combat the lack of awareness around the issue. 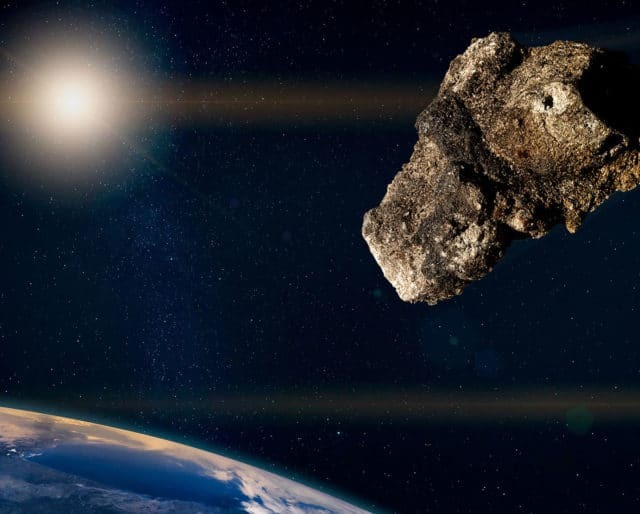 In the event that an asteroid does strike the earth, the holiday and the movement surrounding it may make a major difference in preparing people to protect themselves. International Asteroid Day inspires everyday people to hit the books and learn more about the sky above them, and the galaxy surrounding us. Among established scientists, the holiday creates an incentive for further research and perhaps even an increase in scientific funding. The United Nations General Assembly has now officially recognized the holiday, which will lead to that much more encouragement for research. Cheers to shaping bright minds! Humans are more alike than we are different, and nothing makes that more clear than a shared threat that could harm the whole planet if it were to strike. Protecting ourselves against asteroids is a much more effective effort if the world’s greatest minds band together to share ideas.